A friend of mine asked if we could start getting together for a weekly sewing day and I happily agreed. It's always good to find the motivation to spend time in my sewing room. I did finish one interesting new project last week. Jeff asked me to make a remote control holder for our TV area. Our remote controls were always going MIA and Jeff could never find his glasses. This solves that problem, assuming we put them where they now belong. 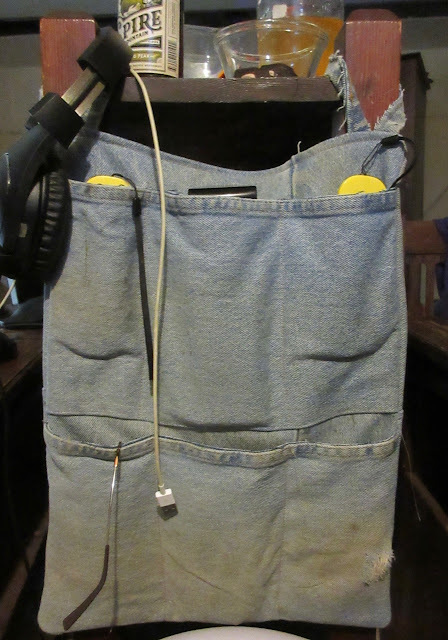 I made this out of a pair of Jeff's old dead work jeans, hence the wear and discoloration. I thought it added character. I didn't use any type of pattern, I was just winging it the whole time. I'm quite happy with how it turned out. I've got some new potholders for Jeff in the works. 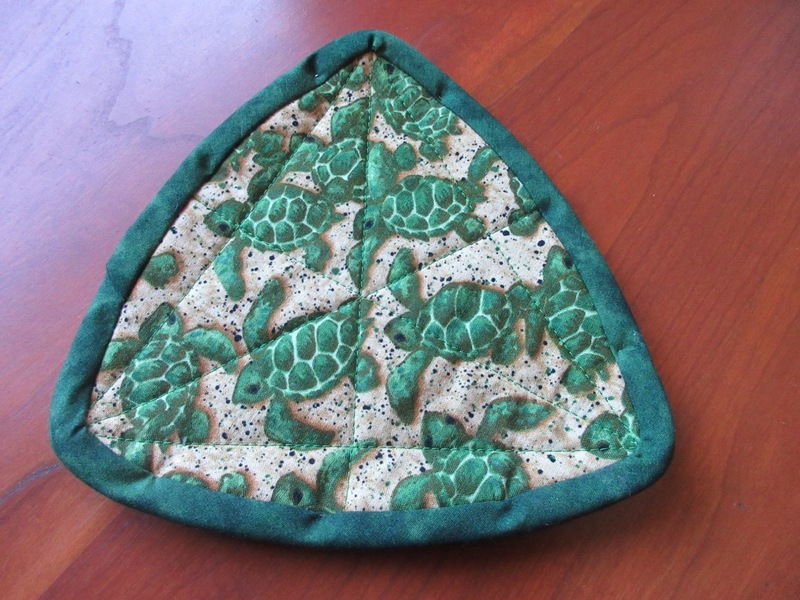 The shape is a nerdy math pattern Jeff made for me back in 2012. I had forgotten what a pain it was to add the edging around this tight curve but at least this time I remembered to cut the fabric on the bias. Curtains for my sewing room have been my latest forever project. I ripped apart the old Roman shades from Redwood City in Dec 2015 and because there were not enough squares to make nice looking curtains, I decided to add a second batch of purple squares. Usually, I like piecing projects, but these just have not been able to hold my attention, perhaps because I don't really have a plan once I actually finish them. 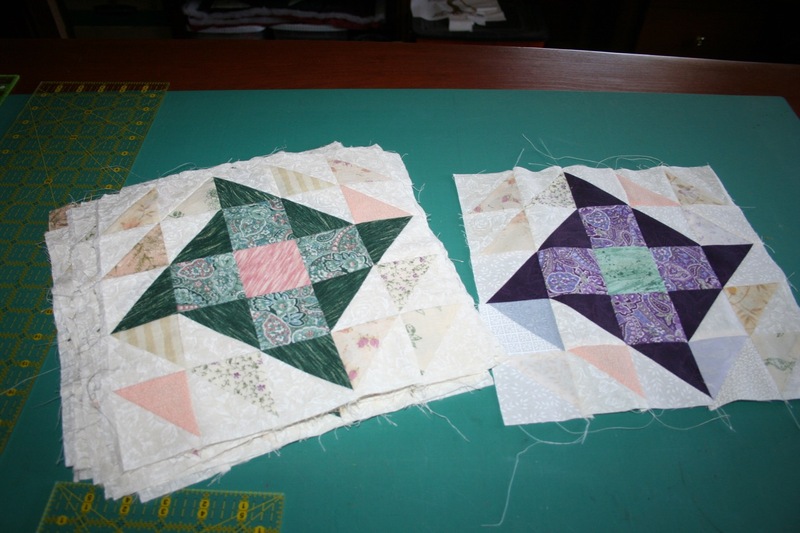 Since I'm nearly done with the squares now, I'm hoping this time I'll make it to the end of the project and be able to show photos of the finished curtains soon.